Since the creation of the NIU Service Leaders program, the Office of Student Engagement and Experiential Learning (OSEEL) has had three cohorts of diverse and passionate NIU students making a difference in DeKalb County. NIU Service Leaders is a work-study service-learning program. It connects first-generation college students with local schools or youth organizations in civic engagement activities and programs for one academic year. Sara Finnigan, the site supervisor for the Center for P-20 Engagement explains the wonderful experiences she has had with NIU Service Leaders. NIU Service Leaders are matched with a community site based on the site’s commitment needs in addition to the student’s interests and availability. Keagan Cornier is a junior majoring in Spanish language and literature. With a career aspiration to be a high school teacher, he was matched with Sycamore High School. Cornier enjoys tutoring students on their Spanish and math homework. One of the learning objectives of the program is to understand community issues and ways that they could be addressed by students now and in their future career. Kristen Lookingland is in her second year at NIU, majoring in secondary English education. She tutors at the Jerry L. John Literacy Clinic which provides reading support services for K-12 youth. In her time working there, she has noticed education disparity as a community issue that affects literacy proficiency. “This can be credited to social issues such as poverty and crime,” Lookingland says. The NIU Service Leaders program serves to provide community sites with extra hands to help out, but this program also benefits the participants as well. 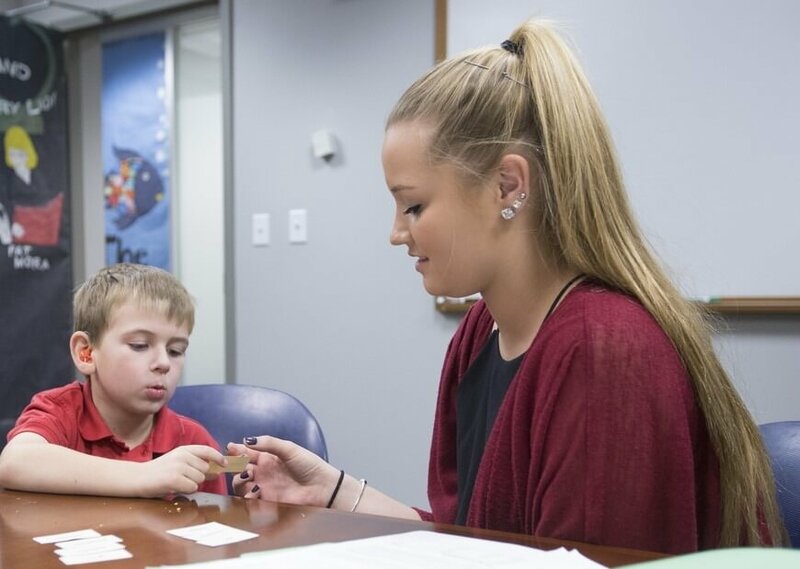 Dianna Birr is a sophomore majoring in special education. Birr is excited about the doors the program has opened for her. Students finish the program as better leaders, better mentors and more civically-minded individuals. Students completing the program have gone on to be peer mentors in other programs, community advisors, City Year tutors and more. If you are interested to learn more about the program visit go.niu.edu/NIUSL. Students interested in participating during the 2018-19 academic year should apply by Sunday, March 18.